Like food, music is deeply linked to the identity of a place; it speaks of the history, people and culture. Wherever you travel people always love to see visitors enjoying their traditional music and songs. Take Bahia, in Brazil. It has arguably the strongest African identity outside the African continent, and music has a huge part to play in this. 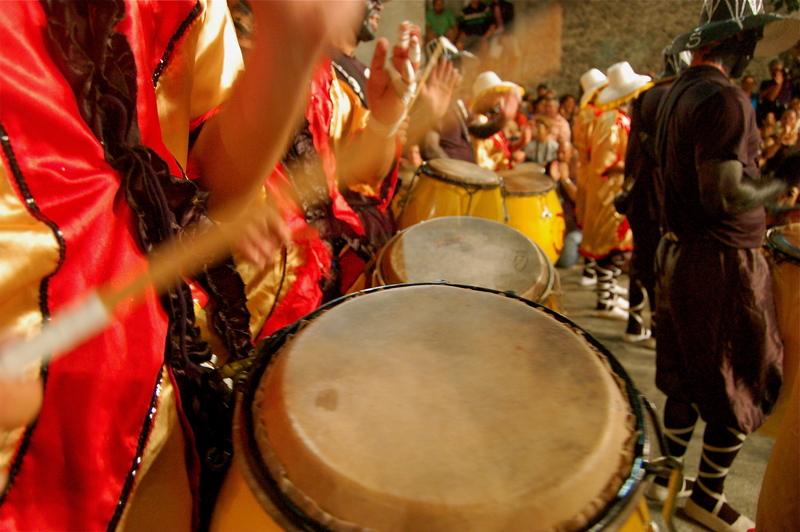 Home of the samba, carnival and an irrepressible spirit, Brazil already has an instantly recognisable musical heritage. The melting pot of Salvador truly captures the spirit of this nation. If you dig into the locally-practised Candomble religion, it has its origins in Africa, but has gradually taken on Catholic influences that make it unique. Candomble ceremonies rely heavily on music and dance, and date back centuries to a time when African slaves were packed onto Portuguese galleons bound for the New World. Candomble and its music takes you back to a dark time in history, but also tells a story of freedom and multi-culturalism in the modern world. In India nothing connects you more to the history, tradition and culture of this diverse country than its unique ‘Bollywood’ industry. The colourful, explosive song-and-dance spectacles, more formally known as ‘Hindi film songs’, or filmi are songs featured heavily in Indian films. twenty languages are spoken and scores of dialects exist. Bollywood music draws its inspiration from numerous traditional sources, Parsi theatre, as well as from the West, Pakistan, and other Indic musical subcultures to tell the story of modern India. This year marks the 300th anniversary of the oldest music festival in the world – the Three Choirs Festival in England. Choirs from Gloucester, Hereford and Worcester have met to celebrate ecclesiastical music for three centuries, however now it has grown to be the largest celebration of choirs in the world. Performers of all ages and nationalities meet annually to celebrate their shared love of choral music and its rousing traditions. Many British composers including Edward Elgar, Benjamin Britten and Ralph Vaughan Williams came to prominence thanks to this fantastic festival where locals were often introduced to new and rising musical stars. For many in the 1800s the first time they would ever have heard Mozart, Haydn or Mendelssohn would have been during this classical gala that continues to stir the soul with its rousing renditions. Wherever you travel you can be sure it will have its own sense of music and rhythm to life. Contact us if you would like to discover some of world’s unique music.